2018 sees a new era of Amir Abdullah who reconnects with his Disco, Funk and Boogie Soul. Amir, an educated, rare breed of music lover whose passion for music and understanding of the cultural and sociological context complements his deep crates of classic records. Amir applies his knowledge to the kind of music and culture that rarely receives the respect it deserves. 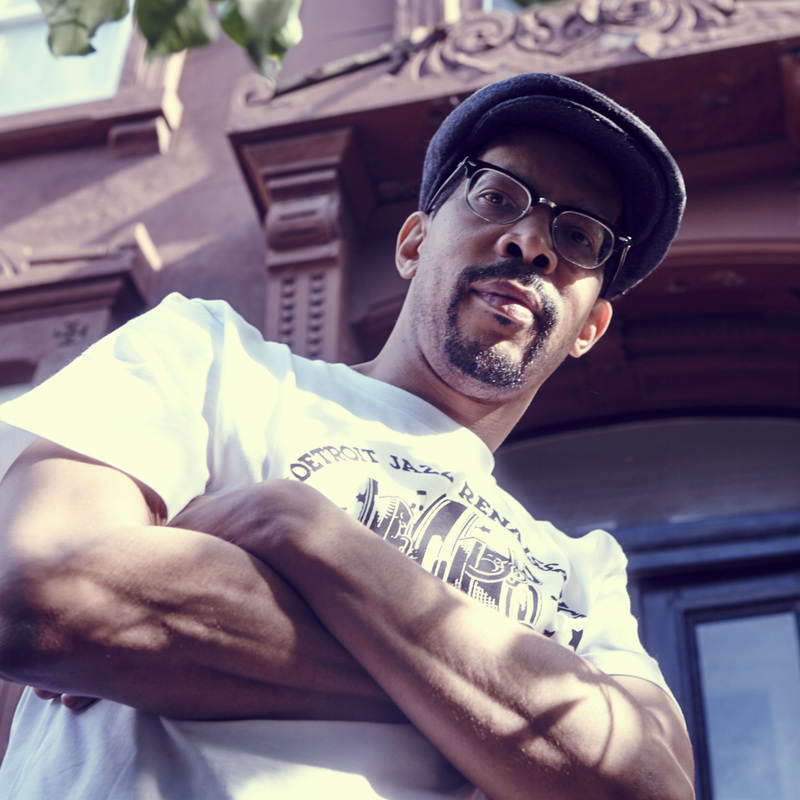 A part of Hip Hop history, Amir Abdullah is a sample excavator, music historian, compilation curator and DJ who is already acknowledged alongside his childhood heroes. Simultaneously an artist and executive, Amir excavates and celebrates the seemingly inexhaustible musical back catalogue to the benefit of sample-spotters, disco-dancers, music nerds and adventurous music lovers worldwide. Amir Abdullah first fell in love with music listening to his father’s expansive jazz collection, which now makes up a good part of his own enviable vinyl library. His many older brothers and sisters turned him on to Disco, Funk and those irresistible 80s R&B records we now call “Boogie”, which subconsciously prepared him for his first claim to fame as one half of the legendary mix tape and DJ duo Kon & Amir. Their half-dozen “On Track” mixes, composed of a majority of Amir’s selections and skilfully mixed by Kon & Amir, perfectly isolate the insatiable hunt for magical moments buried in the grooves of yesterday’s back catalogue that helped define the musical apex of Hip Hop’s Golden Era. The duo signed to the U.K.’s BBE records and released three volumes of the “Off Track” series, which dug deeper and presented obscure, essential tunes and re-edits for discerning DJs, dancers and adventurous music lovers. 2016 found Amir stepping out on his own with his first solo compilation for BBE DJ Amir Presents: Buena Musica Y Cultura, a fiery mix of New York City Salsa pulled from his extensive collection of forgotten local hits and even an unreleased Latin jam from the legendary Strata Records catalogue. Music continues to guide Amir’s life as he started his own records label, 180-Proof (founded in 2011), which owns the exclusive rights to release the Strata Records influential back catalogue and unreleased sessions. Running his own label is a natural extension of the other side of Amir’s multifaceted music industry expertise. Amir’s position as an influential selector and historian within the Hip Hop world made him a perfect host of Adidas Original Vinyl Swap event not mention an in-demand DJ who’s opened for everyone from Cut Chemist to Q-Tip to Afrika Bambataa as well as a regular on Gilles Peterson’s influential radio show as well as opening sets for Gilles’ Worldwide Festival. Amir Abdullah thrives upon sharing his passion and knowledge about obscure and under-appreciated music whether it’s from behind the turntables or a lectern. Like the jazz musicians that initially inspired him, Amir keeps pushing the envelope of music into different places, shedding light on forgotten sounds and inspiring contemporary musicians. Using his deep knowledge and experience, Amir is championing at exploring the future sounds of Deep Disco, House, Funk and Boogie.